This elastic bandage latex free is a medium weighted product, which has a matrix appearance and therefore customer also call this latex free elastic bandage as the matrix elastic bandage. 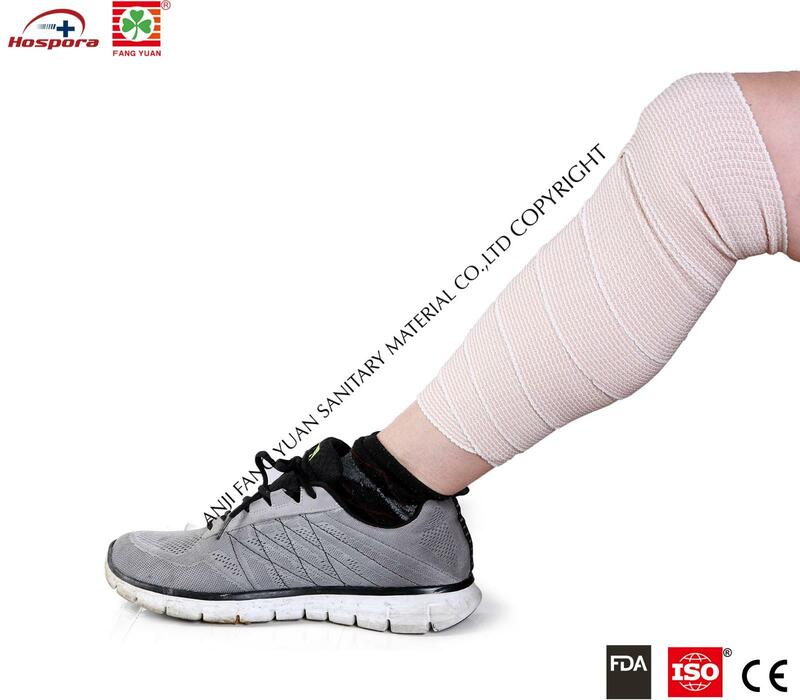 We are using premium quality cotton combined with polyester material to manufacturing this kind of elastic bandage, it has two velcros for both ends. 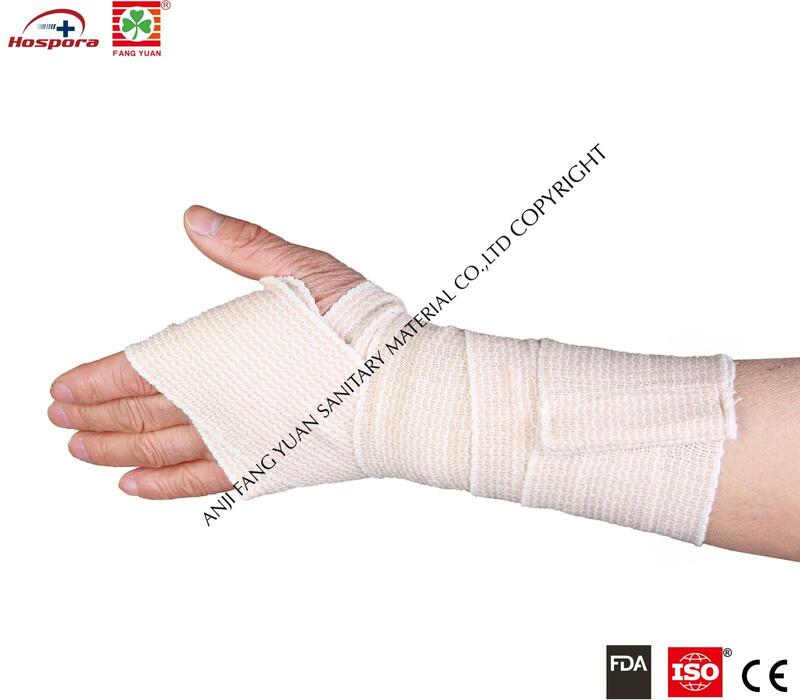 We are offering this latex free elastic bandage in various sizes. We are expecting become your long-term partner in China, please send us the inquiry and get quick response, free sample available. It is suiutable for wrap wrists, ankles, knees and elbows. Perfect to hold dressings in place. It adheres to itself, maintaining its size without shrinking. Provides excellent pressure without cutting off circulation. Removal is quick and easy, just away with scissors without unwrapping. This elastic bandage latex free is ideal for securing splints, dressings, ice packs and for use in the treatment of varicosities, sprains and strains. Moreover, this elastic bandage latex free is available in various specifications and customized options to ensure its quality. A final QC is being done prior to the packing and shipping of finished products to assure that, customers received exactly what was specified and requested.